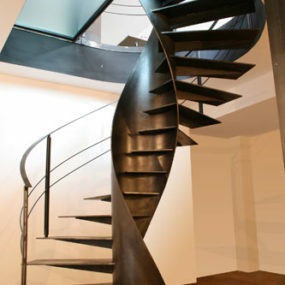 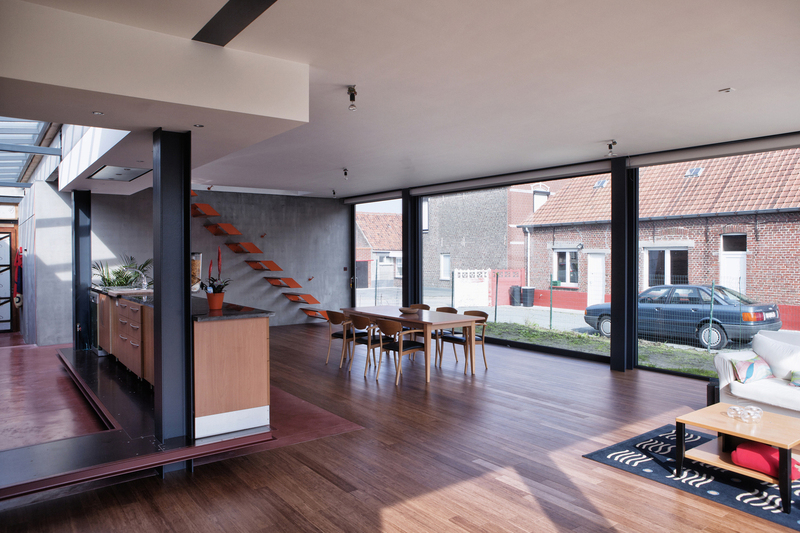 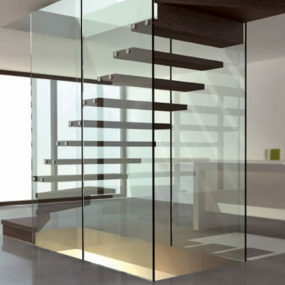 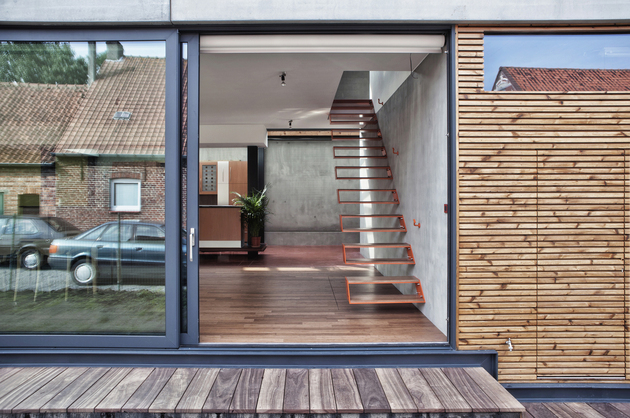 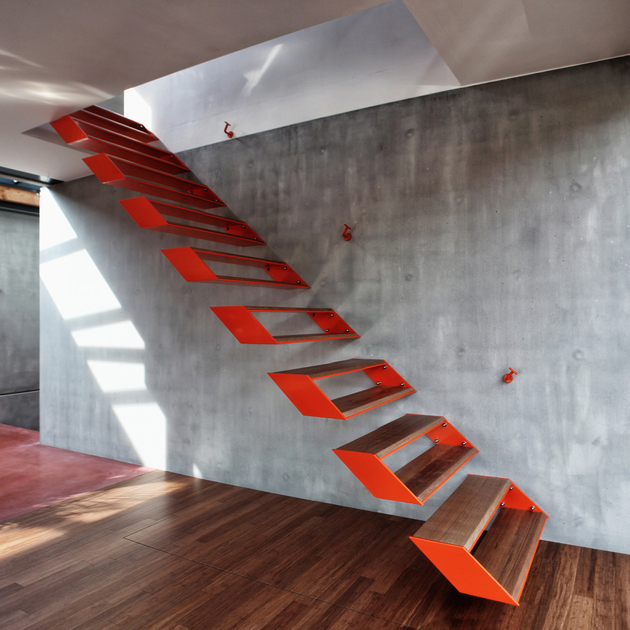 This modern steel staircase was designed by OYO (Open Y Office) architects of Belgium for Casa Cliv. 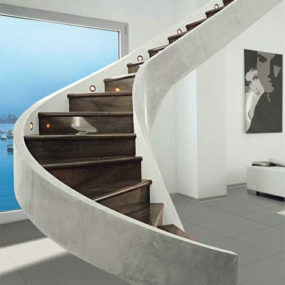 And what a fantastic design it is. 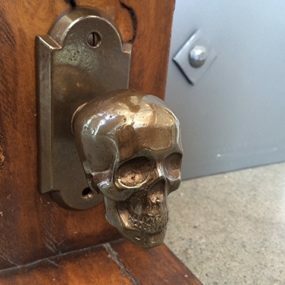 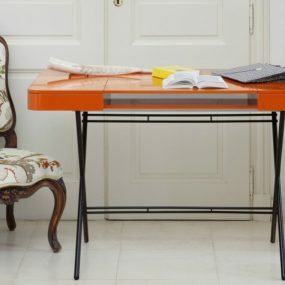 And probably pretty cost efficient as well – it doesn’t take much to weld several metal brackets of the same shape. The main effort would be installing them in the right positions. 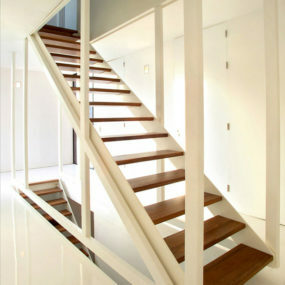 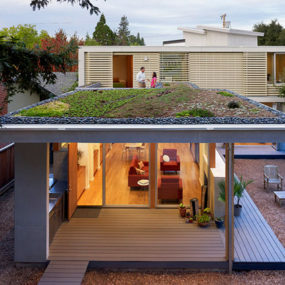 Overall, a very cost-efficient design that looks fantastic. 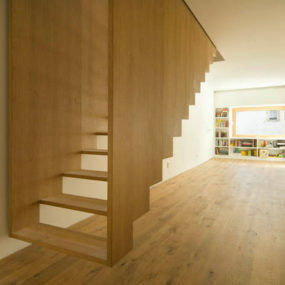 It occupies very little in cubic feet, leaving the space unobstructed. 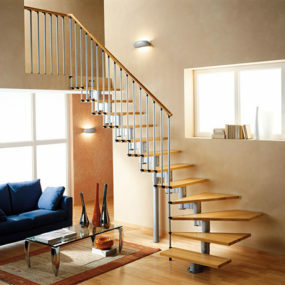 Wall-mount sturdy metal brackets are used to support two steps each, with wooden treads laid on top. The bannister has no visible rail – just supports attached to the wall. 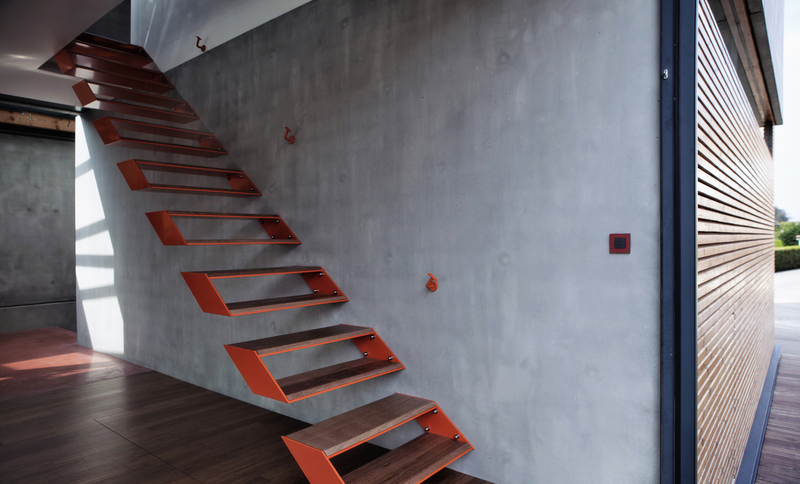 Doesn’t the red of the stairs add just the right accent to an otherwise boring grey concrete wall? 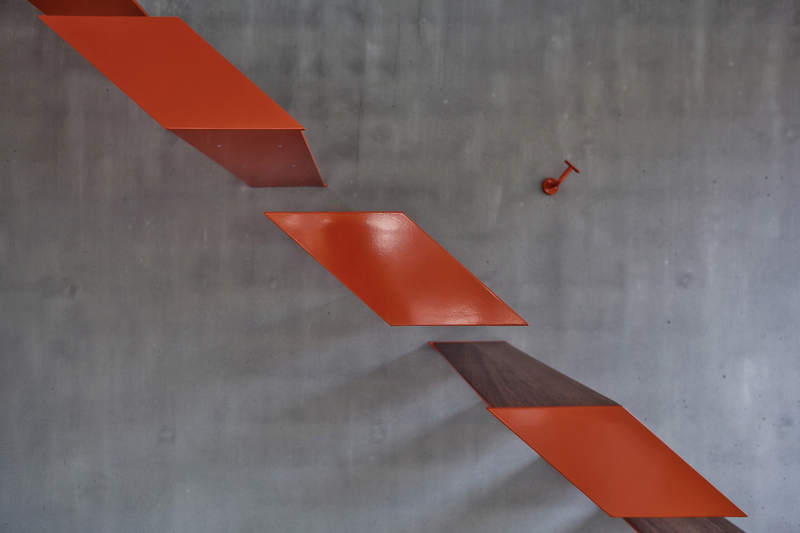 Red and grey have always been one of our favorite color combinations. 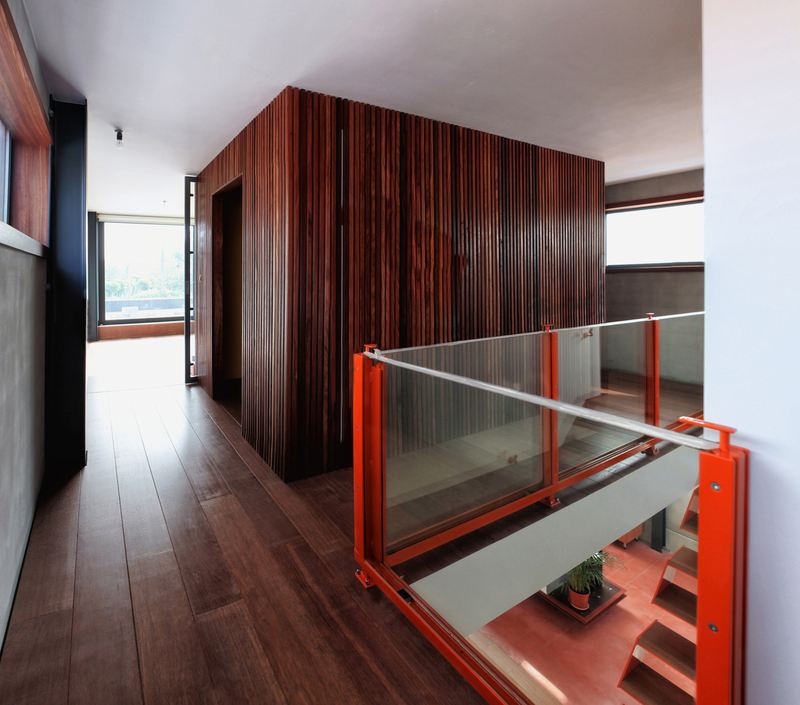 And the wood adds just the right touch to elevate this design from industrial to elegant.